The E-16D supports 16 external configurable sensors, 8 digital inputs, and 4 output relays for control of external devices. The system also includes three internal sensors: temperature, humidity and power. It features 4 USB ports for USB modems or USB flash drives. Linux inside. The ENVIROMUX® Enterprise Environment Monitoring System (EMS) monitors critical environmental conditions, such as temperature, humidity, liquid water presence, power, intrusion, and smoke. When a sensor goes out of range of a configurable threshold, the system will notify you via email, LEDs, alarm beacon, siren, web page, network management (SNMP), voice phone calls (via Automatic Voice Dialer System), and SMS messages (via external USB 3G modem). The system includes three internal sensors: temperature, humidity and power. It also supports 16 external configurable sensors, eight digital input sensors, and four output relays for control of external devices. E-MICRO-T: 1 integrated temperature sensor, 2 RJ45 ports for external temperature/humidity sensors, 2 digital inputs sensitive to contact closure, dual DC power (dual redundancy). E-MICRO-TRHP: 1 integrated temperature/humidity combination sensor, 2 RJ45 ports for external temperature/humidity sensors, 2 digital inputs sensitive to contact closure, built-in Power over Ethernet (POE), dual DC power (triple redundancy). Relay activates upon alarm or via the user interface. Control output relays via SNMP SET commands to power on/off external devices. One integrated view – see different Web cameras side-by-side with physical and environmental parameters. Any programmed event can trigger a snapshot from an IP camera. Configure up to 50 events. Setup SSH commands to be sent when events are triggered to soft shutdown or reboot machines. Up to 20 Smart Alerts can be configured to use different event combinations to send alert messages. USB ports for connecting USB modem or for downloading log data to USB flash drive. Up to five units can be connected via Ethernet connection or using CAT5 expansion cables to increase the number of sensors connected. Cascade up to four E-2D/5D/16D units as slaves to one E-2D/5D/16D master unit via Ethernet connection. Each master and slave unit needs its own unique IP address. Cascade up to four E-16D units as slaves to one E-16D master unit using CAT5/5e/6 patch cables with RJ45 connectors wired straight through. Each slave unit needs its own unique RS485 address value that can range from 1-255. Uses a single Web interface for all systems/sensors connected. Available with optional 48VDC or 24VDC power. Optional intuitive graphical management software provides an easy-to-use, unified interface for both monitoring and configuring up to 3,000 E-2D/5D/16D, E-SEMS-16(U), IPDU-S4/8 units and all connected sensors. The ENVIROMUX system can be mounted so that the sensor connectors are facing the front or back of the rack. Multi-language support – English, German, Chinese, and Japanese. Optional 48VDC power (not shown). Optional 24VDC power (not shown). Optional dual power (not shown). Available on AC, 48VDC, and 24VDC models. If the first power source fails, the unit will automatically, without interruption, switch over to the second power source before switching to the battery backup. Sixteen RJ45 modular jacks for connecting NTI temperature, humidity, temperature/humidity, liquid detection, smoke detection, glass break, vibration and motion sensors. Eight screw terminals pairs for connecting dry contact devices. Input voltage: 0VDC to +25VDC. Provides +12VDC, 50mA for terminals 1-7, and +12VDC, 350mA for terminal 8 only. Normally open / normally closed connection points. Maximum switching load: 0.5A at 100VAC, 1A at 30VDC, 0.5A at 48VDC. Provides +12VDC, 180 mA to supply an alarm beacon. Provides +12VDC, 180 mA to supply a siren. Four female USB Type A connectors for connecting USB modem or for downloading log data to USB flash drive. Two USB ports on front panel and 2 on back panel. One female USB Type B connector for connecting a PC for serial terminal access. One female RJ45 serial port for terminal access. 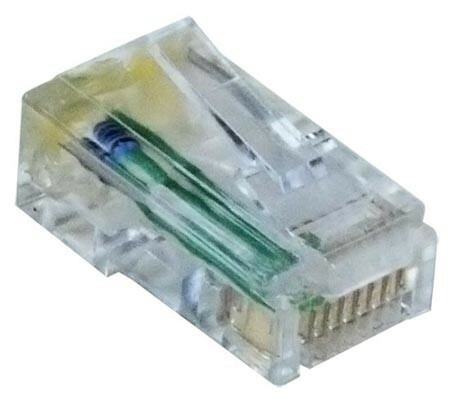 One RJ45 port for connecting a serial GSM modem or a remote serially-controlled device. A maximum of 5 systems can be used in a cascaded configuration via RS485 to increase the number of sensor ports (1 master, 4 slaves). Up to 4,000 feet between the master unit and the slave unit. The last slave must have a terminating plug (E-TRMPLG, not included) in the empty socket. Support for XOAUTH2 provides higher security authentication for email accounts (e.g. Gmail). Operates and configures via HTTP/HTTPS web page, Telnet, SSH, or USB/RJ45 serial interface. An IP address can be assigned to the E-16D automatically by a DHCP server. Generates SNMP traps, email alerts, syslog messages, and SMS messages (via USB 3G modem). Email alerts can be sent to 17 addresses. Users can configure the schedule for when they will be alerted, as well as customize the e-mail subject line for each sensor alert. SNMP traps have unique OID's (Object Identifiers) for each sensor. OIDs for sensor and contact values for E-16D. Applications from 20% to 80% relative humidity at temperatures between 32 to 104°F (0 to 40°C). Accurate to within ±5% relative humidity. Provides back-up for one hour. Without supplied rackmount kit: 16.19x10.01x1.75"
With supplied rackmount kit: 19x10.01x1.75"
E-16D: 9.5 lb (4.31 kg). E-16D-48VDP: 9.6 lbs (4.36 kg). Configuration can be done over the Internet/LAN or 3G data connection via Web page. 3G data connection requires a USB 3G modem with a data plan. Email and SMS alerts can be sent through the modem instead of the Ethernet connection. Customize SMS messages and email subject headers for sensor alerts. All sensors connected, including up to 8 Remote Temperature/Humidity Sensors over IP, to the E-16D can be viewed on one summary page. All sensors in alert can be quickly viewed on the alert summary page to enable timely responses. Data log records samples of sensor readings. User specified sampling time period. Both the event log and the data log store up to 1,000 entries. Configure up to 50 sensor conditions (events). Configure up to 20 Smart Alerts to use different event combinations to send alert messages. IP sensors can only be connected to a master unit. E-16D slave units can also be configured as RS485 local slave units using CAT5/5e/6 patch cables with RJ45 connectors wired straight through. The last slave must have a terminating plug (not included) in the empty socket. "INT ALERT" – internal sensor goes out of range of a configurable threshold. "EXT ALERT" – external sensor goes out of range of a configurable threshold. "LOW BAT" – backup battery is low. "CHECK LOG" – message is posted to the log. "AUX" – indicates Auxiliary device is powered. "PWR" – indicates system is powered. Restore Defaults button – use to manually restore the E-16D back to factory settings. System Reset button – use to manually reboot/restart the firmware for the E-16D. Configure, control and monitor over the text-based menu system accessible via USB console port, RJ45 serial port, Telnet, and SSH. Serial baud rate: 9,600 to 115,200bps. Data format: 1 start bit, 8 data bits, no parity, 1 stop bit. Telnet and SSH can be enabled or disabled. Network Security Enhancement: Disabling Telnet can prevent unsecure text menu access to the E-16D. SET command can be sent from SNMP software, MIB browser (Windows), or command line (Linux). Using Multi Router Traffic Grapher (MRTG). Optional intuitive graphical management software provides an easy-to-use, unified interface for both monitoring and configuring up to 3,000 E-2D/5D/16D, E-MICRO-T(RHP), E-1W(P), E-SEMS-16(U), IPDU-S4/8 units and all connected sensors. View summary page on mobile devices – smartphones, tablets, etc. Summary page lists all connected sensors' current values and alert statuses. Optional Android App provides an easy-to-use interface for monitoring and displaying sensor statuses from one E-2D/5D/16D. The E-16D monitors the parameters of many connected sensors used for detecting environmental conditions and sends out alerts to personnel when a sensor goes out of range of a configurable threshold. Alerts are sent via various communication channels such as: email, alarm beacon, siren, web page, network management (SNMP), voice phone calls, and SMS messages. Rapid changes in temperature and humidity, water leaks, power outages, human error, and invasive intrusions are the most common environmental threats faced by businesses. The E-16D reduces the unnecessary costs of expensive hardware replacement or unplanned downtime. Set up the ENVIROMUX-3GU-5 on one ENVIROMUX unit. Access the web interface of the ENVIROMUX equipped with the modem, and click on Administration > Enterprise, and expand SMS Relay. Select the checkbox for "Enable Server"; this only applies to the ENVIROMUX unit with the modem. Access the other ENVIROMUX units' web interface (no modem) and navigate to SMS Relay. Select the checkbox for "Use remote unit to send SMS" and in the textbox, "Remote unit IP Address," type in the IP address of the ENVIROMUX unit with the ENVIROMUX-3GU-5. Configure any desired SMS alert settings on all ENVIROMUX units. Any SMS alert messages triggered on the other ENVIROMUX units will be sent through the Ethernet to the main SMS alert unit, which will then use the ENVIROMUX-3GU-5 to send the messages. This reduces the number of ENVIROMUX-3GU-5 units needed to support SMS alerts when using multiple ENVIROMUX units. This SMS relay function is not restricted to identical units and can be integrated with any number and type of ENVIROMUX-2D/5D/16D units. No management software is required to set up the SMS relay feature. Events and Smart Alerts can be set-up to enable a configuration that will allow the disabling of motion sensors during the time an operator enters an enclosed area via a keypad, but will re-arm the motion sensors when he exits the area and re-enters the keypad code. This requires the keypad output relay, which will be programmed in "Start/Stop" mode instead of timed delay, to be connected as a digital input to the ENVIROMUX and an output relay from the ENVIROMUX that will activate the door strike when the correct code is entered. For details on how to set up this configuration, refer to the Knowledge Base entry. How to Connect Multiple Smoke Detectors to a Single E-2D/5D/16D Using the Digital I/O Expander. By connecting the E-DI16DO16 Digital Input/Open Collector Output Expander to the ENVIROMUX unit's RJ45 sensor port using up to 500 feet of CAT5/5e/6 cable, up to 16 additional smoke detectors can be added to each expander. Since the E-DI16DO16 does not supply power, the E-SDS-CELCP Low-Cost Smoke Detector Sensor (CE) with an included power supply should be connected to the expander using 22-gauge 2-wire sensor cables. Based on the desired number of smoke detectors, more expanders can be connected to the ENVIROMUX unit as long as there are RJ45 sensor ports available. Other self-powered sensors, such as the E-IMD-P Infrared Motion Sensor and E-CMD-P Carbon Monoxide Detector will also work with this set-up. Each sensor can be located up to 1000 ft away from the expander. Note: Since the ENVIROMUX unit does not provide power to the smoke detector, it cannot remotely reset the smoke detector power when connected through the E-DI16DO16. Unlatch the activated smoke detector by simply unplugging and replugging the power supply. Note: When using the E-DI16DOR16 Digital Input/Normally-Open Relay Contact Output Expander, the power supply for the smoke detectors can be run through a relay contact on the expander. This allows users to remotely power cycle if needed. Note: The 12V/1A power supply included with the E-SDS-CELCP can provide power to additional E-SDS-CELC units through daisy chaining. The E-SDS-CELC(P) has a minimum operating voltage of 9V. As there will be power loss with this configuration, attention must be given to the gauge and length of the power conductors used to determine the number of units it can support and how far the units can go. Caution: If the single power supply fails, none of the smoke detectors in the string will work. Additional power supplies may be required to assure protection of the area should a power supply fail. Alert Notifications Sent via Email, LEDs, Web Page, SMS Messages, SNMP, etc. The ENVIROMUX Server Environment Monitoring System gives total security to IT centers by providing early warnings about potential problems via email, LEDs, alarm beacon, siren, web page, network management (SNMP), voice phone calls (via Automatic Voice Dialer System), and SMS messages (via external USB 3G modem). The E-MICRO-T(RHP) Remote Temperature/Humidity Sensors over IP can function as an IP-connected remote sensor for the E-16D. To add a remote IP sensor, access the web interface and select Monitoring > IP Sensors. Click on the "Add New IP Sensor" link on the bottom and key in the description and IP address of the E-MICRO-T(RHP) to connect it to the E-16D. Up to eight remote IP sensors can be connected. All sensors connected, including the Remote Temperature/Humidity Sensors over IP, to the ENVIROMUX-16D can be viewed on one summary page. The ENVIROMUX-16D present on a 10.x.x.x network is capable of sending email alerts to a public 153.x.x.x mail relay server. Note: to use a DSL type router in this set up, set a gateway in the network settings of the ENVIROMUX-16D to allow traffic to be sent to the 153.x.x.x network. The IP address of the router on the private 10.x.x.x network is the gateway. The ENVIROMUX Enterprise Environment Monitoring System monitors Telect™ GMT fuse panel relay outputs and sends alerts in case of power loss, fuse break, or bay alarms. Configure digital inputs as "normally open" for proper operation. The E-2D Small Enterprise Environment Monitoring System supports the RADIUS protocol. Remote Authentication Dial-In User Service (RADIUS) is a client/server protocol that provides centralized authentication, authorization, and accounting management for users who connect and use a network service. When a user accesses the ENVIROMUX system, an authentication request is sent to the RADIUS server to determine the user's permission level and authorizes access. When connected to an ENVIROMUX® E-16D, the E-ALDS Addressable Leak Detection Sensor monitors up to 4,000 feet of E-LDDC-x Liquid Location Detection Sensor Cable, and detects the specific location of liquid presence and if there is a break in the cable. In this example, water is detected at 714.3 feet. *Enables a saved configuration file from one ENVIROMUX-xD system to be used by another ENVIROMUX-xD system. "We have been using the NTI E-16D ENVIROMUX Large Enterprise platform for a while, and I would have to say that I am impressed with the reliability, flexibility and scalability of the system. Every time one of our techs says "I wish there was a way to monitor x, y or z", the ENVIROMUX has had the ability either on board or available as a plug-in module to do so. The customer service of NTI has also made them a pleasure to work with. The ENVIROMUX platform definitely provides us with the insight into the remote parts of our network that we need to keep running effectively and efficiently." "While shopping for environment monitoring equipment for our remote facilities I came across NTI's website. One call got me all the information I needed on the E-16D. After sharing the information with everyone, we couldn't believe the flexibility of these units. NTI allowed us to demo one of the units for 30 days. The quality and flexibility of product is great, plus NTI has a sensor for most anything you want to monitor. Another call allowed us to order two more units and all the sensors we needed. Now we can completely monitor and protect our remotes just by logging in through a web browser." "Just wanted to let you know that we recently purchased the NTI E-16D for our Server Room. The interface is easy to navigate, and setup for multiple devices was quick. Monitoring is a real nice feature - having all the data on a single page is awesome. The automatic voice dialer accessory enhances our IT department crises strategy. The E-16D is feature rich with a wide selection of accessories. After researching several vendors for Environment Monitoring, this System was a great fit in our setting."